It’s been a while since I did any crafting as I’m still playing nurse to my poorly husband whilst doing all the other usual stuff. But recently I treated myself to a set of 48 Zig Clean Color Real Brush pens so I made the time to have a play with them the other night. I started off by stamping one of the Clearly Besotted “Fresh Flowers” stamps onto an Inkylicious tag, then embossing it with Wow! Platinum Fine detail embossing powder. Out came the the brush pens, which blended really well on the art card as long as I worked quickly. Once I’d done that, I really didn’t know what to do next – my mojo hasn’t had much practice just lately! 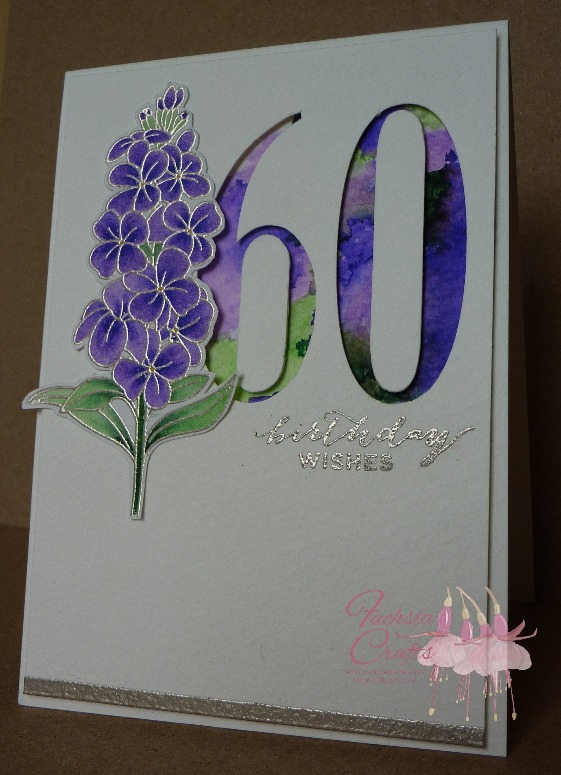 Then I was inspired by this card by Michelle Short, one of my favourite card makers, so I decided to fussy cut the flowers instead of using the tag. 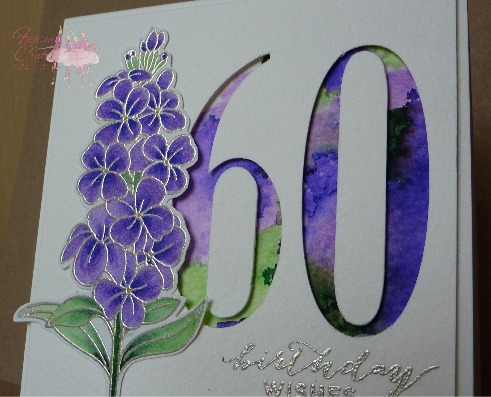 Then I used my Sizzix Eclips to cut the numbers out of Reeves watercolour card. I made a card base out of more Reeves card, and used the same Zig pens to make a background behind the numbers; I found the watercolours didn’t blend well on this card at all as they dried very quickly.